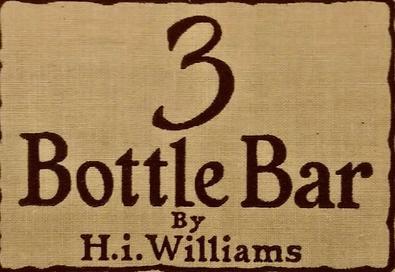 I recently picked up a little book called 3 Bottle Bar by H.i. Williams after it was mentioned in Everyday Drinking by Kingsley Amis, one of my favorite books on our favorite subject. (I mentioned Mr. Amis a few weeks ago while talking about overlooked cocktail books.) Williams, the famous photographer, put together a sharp little manual in 1943 on entertaining and every cocktail in the book is made from three bottles as the title suggests. Gin, American whiskey (rye or Bourbon), and white wine. That is it! He, of course, mentions the other necessities like bitters, sugar, citrus, and various tonics, seltzers, and ginger ales under the "You Also Need" section, but the brunt of the heavy lifting is done by those three bottles. The accessories recommended are the normal lot: barspoon, shaker (that can double as your mixing glass), strainer, and glassware. He also touches briefly on ice and how important temperature is to concocting beverages of high caliber. He is a fierce advocate of measuring and compares it many times to measuring out his photographic chemicals with exaction. Something the young bartenders of today would know nothing about. 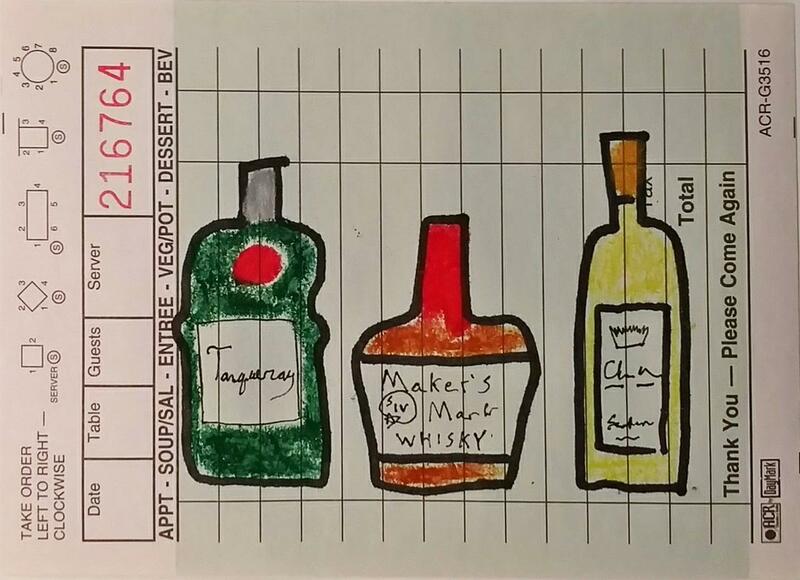 These three bottles allow one to make Martini and Manhattan variations, Highballs, Collinses, Rickeys, Sours, Bucks, Fizzes, Juleps, Toddys, Cobblers, Cordials, and Coolers! The book is all about entertaining and much less about the drinks themselves. He feels he is able to stimulate his guests appetite with one or maybe two drinks (never a third) before dinner all while keeping the conversation light and fun. It was written in the early 40's so his wife spends most of her time in the kitchen while he is making drinks and entertaining. He is strong in pointing out that no cocktailing should be done in the kitchen. All equipment should be kept in a safe place outside of the culinary confines and preferably under lock and key so that nothing goes missing. Also so you don't bother the cook rummaging around for your missing barspoon. The way he puts together his cocktails really got me thinking. I am fascinated by the minimalistic nature of the drinks. The idea that there is no need for vermouth really knocked me off kilter! Dry white wine can pull off the same trick of taming the juniper-forward gin in a martini (I don't use that much of the stuff anyway). Then you have a nice bottle of wine ready and open for dinner. I may start ordering my martinis with a splash of whatever the dryest wine the bar has open for a touch of variety. After a quick read I put together my little three bottle bar: a bottle of juniper focused Tanqueray, the time-tested wheated Bourbon: Makers Mark, and a cheap yet table worthy (read Trader Joe's) Bordeaux Blanc I can pick up by the case. These three bottles allow one to make Martini and Manhattan variations, Highballs, Collinses, Rickeys, Sours, Bucks, Fizzes, Juleps, Toddys, Cobblers, Cordials, and Coolers! Take that 12 Bottle Bar! Williams goes on to talk about the overzealous 5 bottle bar if you or your friends enjoy Scotch and sodas or punch. He recommends a blended Scotch and a bottle of rum to grow your collection. I am going to see how I handle the next month only reaching for his recommended trifecta. The hard part will be getting all my cocktail stuff out of the kitchen and letting my wife know she is cooking tonight. I give 3 Bottle Bar by H.i. Williams my highest recommendation and I am glad it sits on the shelf by my other drinking literature.